BEAUTIFUL 1529 sf. Villa on a Premium corner lot! 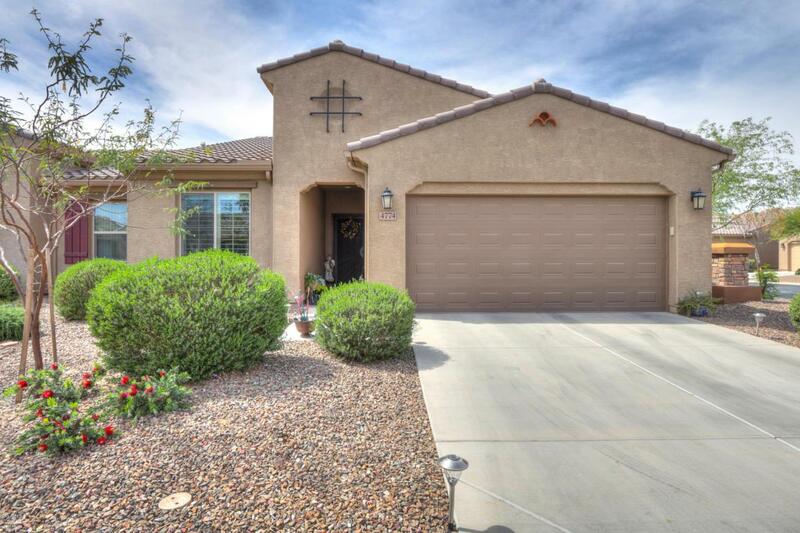 Partially furnished, 2 bedrooms, DEN, 2 baths, 2 car garage with cabinets & epoxy flooring. Kitchen features quartz counters, SS appliances, tile backsplash, roll out shelves, cutlery divider, soft close, dovetail drawers, above & under cabinet lighting. So many upgrades from the decorative security door, 20x20'' tile & laminate wood flooring (no carpet), large walk-in master closet, plantation shutters throughout, upgraded fans, water softener, upgraded plumbing & hardware fixtures. Large extended paver patio w/fan to enjoy the beautiful Arizona weather. This is one of the larger villas. The landscaping and exterior maintenance is taken care of for you. Come see this beautiful Villa and start enjoying this resort lifestyle.